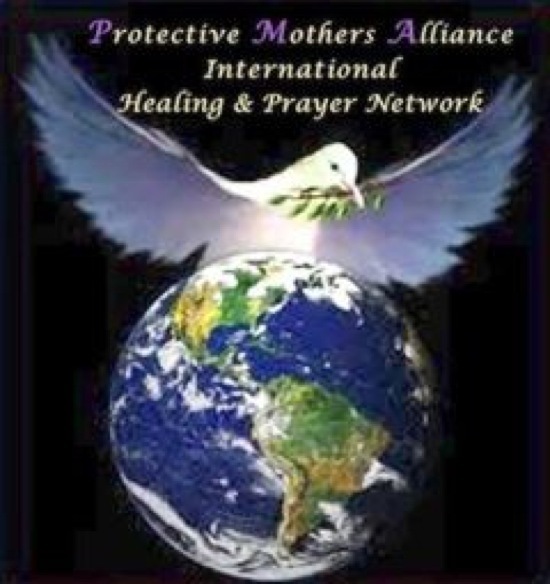 Our intention for the PMA International Healing and Prayer Network’ Wounded Healer Series Part 3 is to present a variety of healing modalities, and be inclusive of various spiritual and religious beliefs. For those who feel aligned with this particular healing method, we hope you enjoy and find it helpful. Feel free to leave your thoughts, tips, and experiences in using this method in the comment section below. Light , Love and Peace. The PMA INTL. Healing and Prayer team. WHAT are “CORDs”? : Cords are energetic spiritual attachments that occur when your individual energy, emotion and desires/intentions connects to the energy, emotion and desires/intentions of another person. The other person can be anyone—friend, family, co-worker, spouse/partner, etc. The cord is unseen but can be felt in the chemistry between two people, it is the underlying energy, and bond, you share with another person. The more connected you are the more you will share. Have you ever needed a shoulder to cry on, and called a friend, who seemed to have just the right words to provide comfort? Have you ever been able to sense your children needed something before they communicated the need to you? Have you came into your workplace feeling good but stress in the environment affects your mood? These are all examples of how the Cord works in everyday life when we share energy and interact with others. Cords can be connected in healthy or unhealthy ways. If the energetic cord connection is unhealthy, you would want to cut the energetic cord. This is what we are addressing in the process below. WHAT IS CORD CUTTING? The spiritual process of “Cord Cutting” is based on the theory that when we enter into relationship with a person, an energetic thread or cord is activated. When that energy is healthy, you will feel a positive benefit in your life, and mutually grow with that person. But there are also times you may feel the need to “Cut the Cord” with someone. As we move through life, often these relationships no longer are what we need or want them to be. “Cord Cutting” allows for the energetic thread that has been running to be cut. Sometimes the energy you share is for a reason or purpose that runs its course then that person moves out of your life. Sometimes the energy you share is not healthy for you, and you find yourself in an abusive or controlling relationship, or one that stifles your own energy. Or, sometimes you need to establish boundaries, and keep people at a distance. 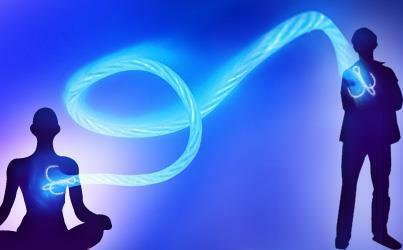 An unhealthy psychic cord can create problems on emotional, subconscious, spiritual, energetic, and physical levels. Although symptoms of cords can vary greatly, an individual will typically feel drained from specific relationships when a cord is present. These are all reasons to remove yourself from that close relationship, and draw your energy out of their circle of influence. 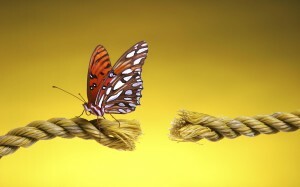 CUTTING THE CORD FROM PAST EVENTS: You can also carry the energy of past events with you, drawing them into the Cord. For a person with a history of abuse, this can be particularly problematic. Cords can be attached in an unhealthy way. This typically happens when someone believes that their self worth is dependent on their partner- as in abusive relationships. The beliefs that creates unhealthy cord attachments stem from unsatisfied needs and deeply held emotional patterns. This may be, in part, why people who’ve been involved with a personality disordered person often seem to repeatedly attract the same type of people in their lives. Or, if history seems to be repeating in certain areas, it can indicate an unhealthy energy. Other times, people get triggered, and have difficulty breaking free, and find themselves acting from a place that does not reflect who they are in the present. That may indicate you are carrying an energetic pattern of the past with you. Cutting the Cord with the past can help release you from old emotional or energetic ties that hold you back. It may help facilitate healing, and allow you to move forward with your life. SUGGESTIONS ON HOW TO CUT THE CORD: Cord cutting requires a certain amount of energy as is best done when you are well rested, and relaxed. It is also quite intentional, so being firm in your intent to let go is important. You don’t have to enjoy letting go; you just have to be intent on letting go. Cutting cords is a little like pulling weeds. Just as in pulling weeds, while cutting cords you have to get all the root out. It is best to do it at a time when you can be alone and are assured of not being interrupted. Have yourself in a prayerful meditative state and well grounded. You may need to turn off your phone. Or chose a time of day that is less busy for you. It may help to draw the curtains, play relaxing music or wear comfortable clothing. If you choose you may use essential oils or incense such as Spruce, Rose, Sage, Lavender. Another strong aspect of cutting cords is visualization, and also breathing, taking long full breaths, and strong exhalations, releasing as you exhale. Please note; this visualization may be changed to fit your personal spiritual and /or religious belief. 1. Close you eyes and get in a comfortable position and begin a pattern of consistent breathing, taking long full breaths, and strong exhalations, releasing as you exhale. 3.Feel your lower chakras being grounded in the earth and your top four chakras opening and receiving the sustaining assisting energies of those you have invited and asked for help. Or, imagine your feet grounded into the earth like droplets of rain nourishing the grass, slowly sinking into the soil. Slowly wiggle your toes as you breathe deeply. Imagine your upper body and arms reaching towards the sky, sinking in the warm rays of the sun, receiving the sustaining assisting energies of those you have invited and asked for help. 4. Visualize yourself in a favorite safe healing place .It may be an actual place, a place that you enjoyed at one time or an imaginary one but what is of utmost importance is that you see it as a safe place. 5. 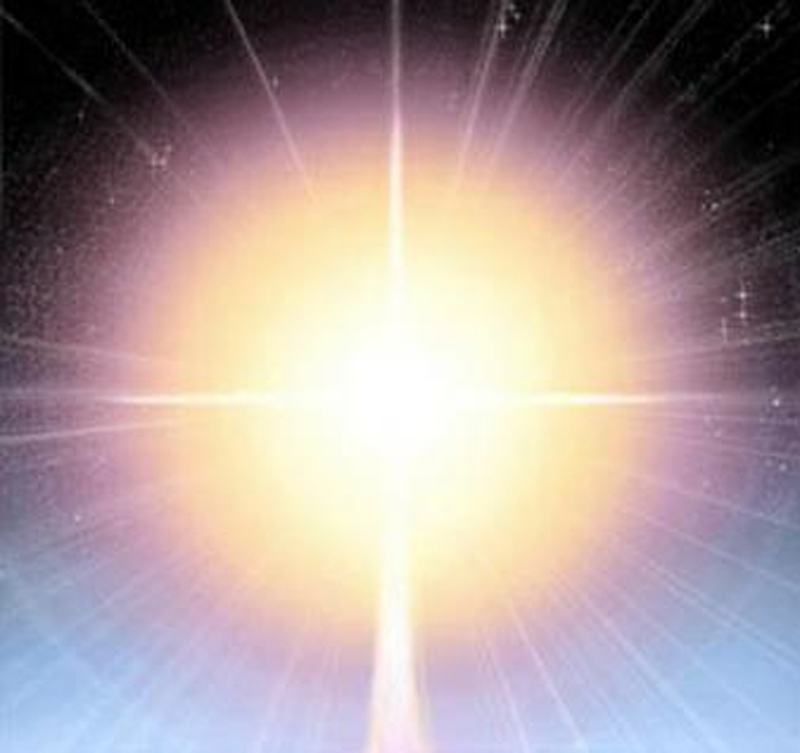 Once in your safe place see yourself surrounded by a ball of pure white light., with Jesus, your Higher self, Angels or Archangel Michael standing by to assist you. Using whatever spiritual higher being that is in alignment with your personal belief system is important. 6. Call forth the individual that you wish to cut the negative cords of attachments from. 8. From your safe place, you are protected and from a place of power speak your feelings to the person that you are doing the cord cutting with. This means that you say anything and everything that you need to say in order to clear the slate and release all pent-up energies and emotions that you have been holding inside but have been unable to express for one reason or another. It is important that you speak from a place of power, even if you could never do so with the person in real life. 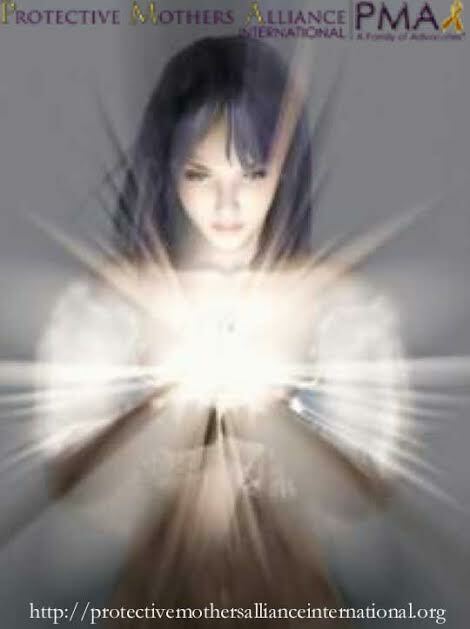 Remember you are in a safe place and are protected by the Light, angels and God. 9. 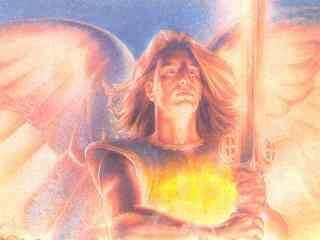 In your mind’s eye, while you continue to stand, ask God, angels, or Archangel Michael or your protector to borrow a spiritual sword, giving you the power to cut the cord. 10. Begin to say out loud I now cut and release the cords of this relationship (say the name), and while you are saying this begin to move your arms as if you were holding a sword and cut all around you. You want to cut all around your body, remembering to cut above you and send intent, and or visualize the sword going below you to cut the roots of the relationship. If you can visualize you might also pull up the roots and pluck them out of your field while continuing to cut with the sword. Your intention is the key. 11. When you feel you are finished with that person/relationship you may feel as if a weight is lifted off of you, you may find it easier to breathe. You may experience a calm or peaceable sensation. Or receive a new insight. Take a moment to breathe, and notice how you are feelings. You may need to repeat Step 10. If you feel the Cord has been severed move on to Step 12. 12. Pause and breathe for a minute or so, and ask for the Violet Light, the Golden Light, The Highest Divine Light, the Light of God, or the Holy Spirit, (all or whatever works for you) to move around you, through you, above and below you, filling each aspect of yourself with the Highest Light and Love. Allow your heart to really open and feel your connection to yourself and the Divine. In doing this visualization you have created a void, by calling in the Divine and more of your higher Self, you bring in what you need to go forth and have the relationships you want to have. 13. While you are bringing in and receiving the Highest Light and more of your Higher Self, you can begin to allow yourself to fill up with gratitude and start thanking those who have helped you in this ceremony. 14. If possible, now is a good time for you to simply relax, and rest. You might even want to take a nap. You may feel hungry, or drained, or simply peaceful. Continue this visualization once a month and observe to see any changes brought about because of this meditation. Changes may not happen right away, so continuing the visualization one a month for a while may be needed.